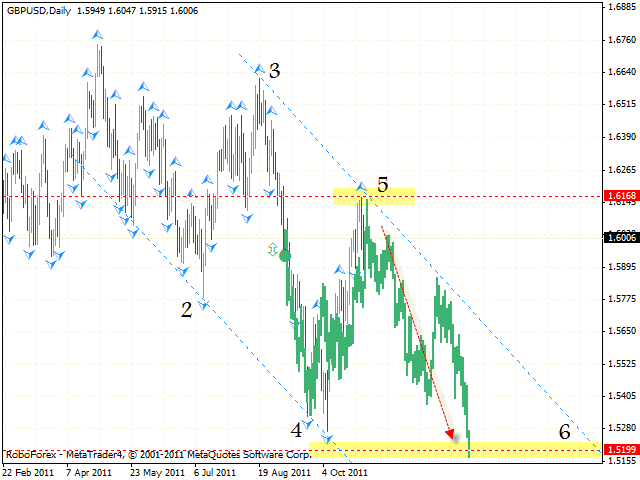 In case of EUR/USD currency pair the correction started. 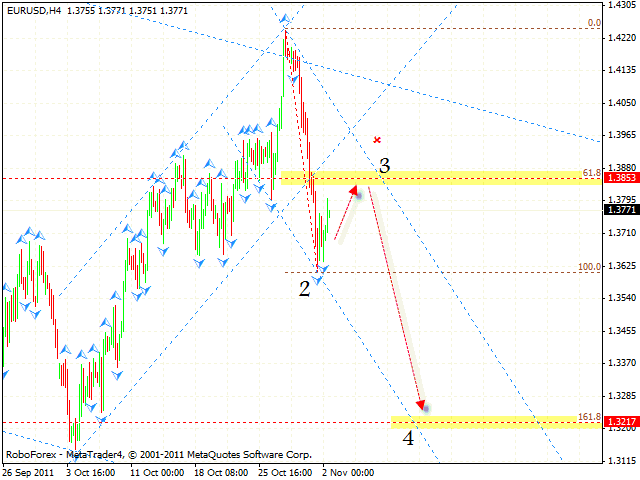 One can consider selling the pair from the area of 1.3855. The next target of the fall is the level of 1.3217. If the pair grows higher than 1.3890, this case scenario will be cancelled. One should increase the amount of sales only after the price breaks the level of 1.3625. Pound keeps moving inside the descending channel, and currently the price is testing the area of 5th pivot point, 1.6160. One can consider selling the pair with the tight stop from this area. If the price leaves the channel, this case scenario will be cancelled. The target of the fall is the area of 1.5200. 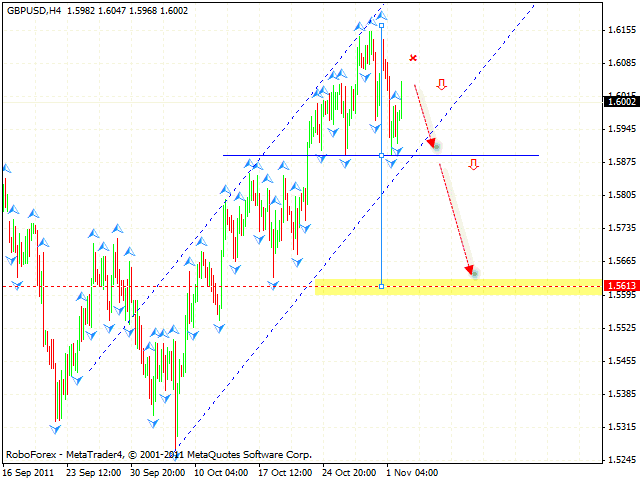 At the H4 chart of the pair we have “head & shoulders” reversal pattern forming with the target in the area of 1.5615. One can consider selling the pair at current prices with the stop above 1.6085, and increasing the amount of sales only after the price breaks the level of 1.5875. If the pair reaches a new maximum at the level of 1.6155, this case scenario will be cancelled. 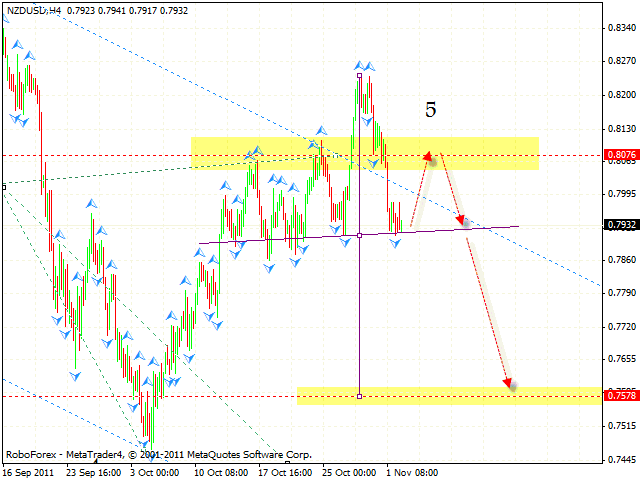 If New Zealand Dollar grows into the area of 0.8075, we will see signs of a reverse. One can consider selling the pair with the tight stop from this area. The target of the fall is the level of 0.7578. If the pair grows higher than 0.8270, this case scenario will be cancelled. Franc has left the descending channel. At the moment the price is testing the area where the channel has been broken, one can consider buying the pair with the tight stop. The target of the growth is the level of 0.9197. 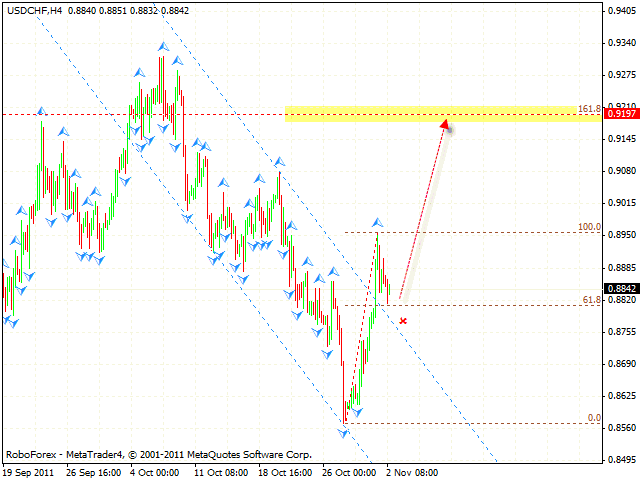 We recommend you to increase the amount of long positions only after the price breaks the level of 0.8950.